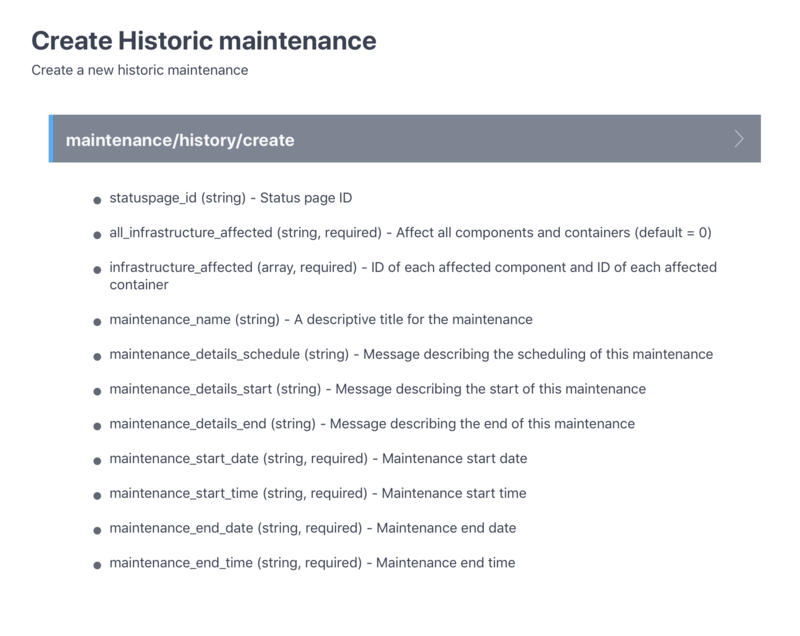 Historic incidents and maintenances can be imported manually via the Dashboard or automatically with the Developer API. Access the backfill function in the dashboard from the Incidents or Maintenance tab. The API is especially useful for bulk importing historic events. 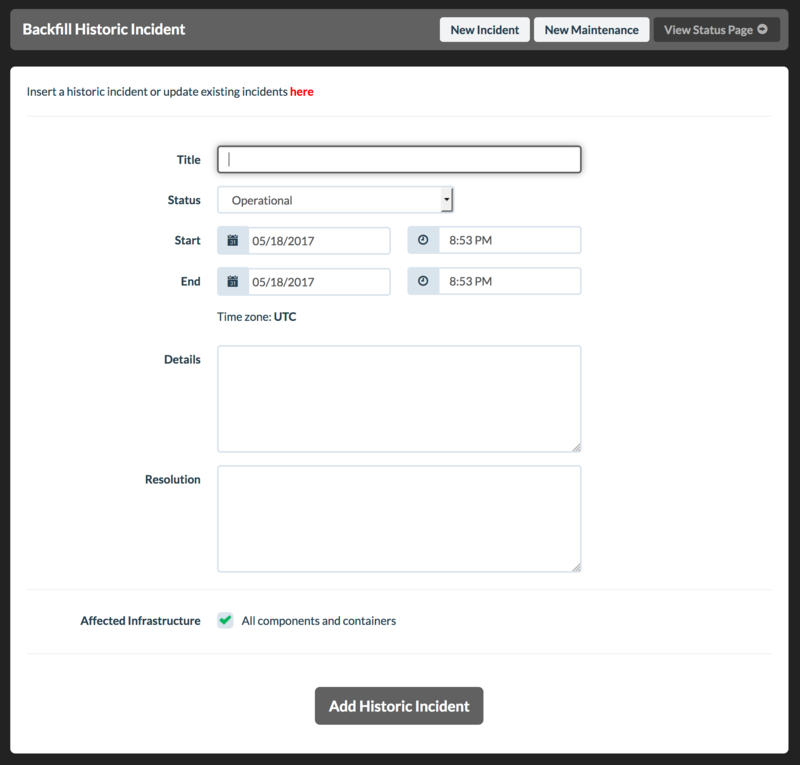 Use the /incident/history/create and /maintenance/history/create methods to add historic events automatically. Learn more in our API Documentation. Note: Historic events do not trigger notifications.